Over at the American Express Open Forum, I recently posted an article about the application of ten Japanese concepts to PowerPoint, Facebook, and Twitter. 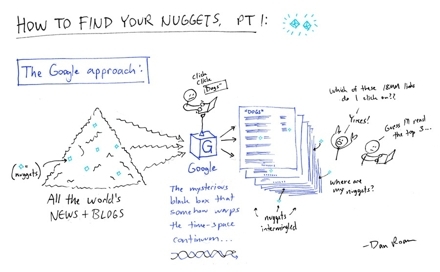 Check it out here if you want a conceptual framework to simplify your use of these tools. The four horsemen (horsepeople?) 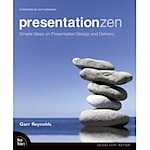 of presentation skills are Garr Reynolds, Nancy Duarte, Bert Decker, and Jerry Weisman. Over at the American Express Open Forum blog, I just published an interview with Nancy Duarte called "How to Captivate an Audience." In this interview she explains the "how" of making great presentations, so check it out. Bert Decker, executive coach extraordinaire, announced the ten best and worst communicators of 2007. 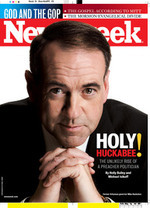 He named Mike Huckabee the best communicator and Alberto Gonzalez the worst one. Click through to see the other winners and losers. Even I made the list, but I won’t tell you if it is as a winner or a loser. The recordings of the “A Brand You World - 2007 Global Telesummit” are now online as MP3s and iTunes Podcasts. It includes people like Jason Alba, Richard Bolles, and Andy Sernovitz. If you want to learn how to market yourself, check them out.